This tour offers the perfect opportunity to indulge and connect with the region in a very special way. During your two week stay not only will you visit iconic locations, you will also have ample time to relax by the pool and share the passion of regional food with a local chef. Based in a Tuscan villa in the countryside near Cortona, this will become your ‘home’ during this ‘soggiorno’ and your connection with the local way of life and the people will make this a unique experience. Indulge in this wonderful region, by many regional culinary experiences daily, Historical treasures, vineyard visits, shopping and much more. The vineyards, olive groves, farm houses and castles will leave you breathless. What are you waiting for? Accommodation for 14 nights’ in a Tuscan villa (one accommodation for the duration of the tour) with all modern facilities and a fantastic swimming pool with stunning views of the surrounding countryside. You may choose to ‘stay in’ enjoy the grounds and relax, visit Cortona or another local township. Alternatively, you may choose from one of our additional activities: Vespa tour, cycling tour, cooking experience, cheese making class, gelato making class, painting class, hot air ballooning. Dinner in Cortona. commencement to avoid long waiting periods upon your arrival. Visit www.tickitaly.com to familiarise yourself with the various monuments in Florence. This evening dinner will be provided for you in your apartment. selection of varied stores. 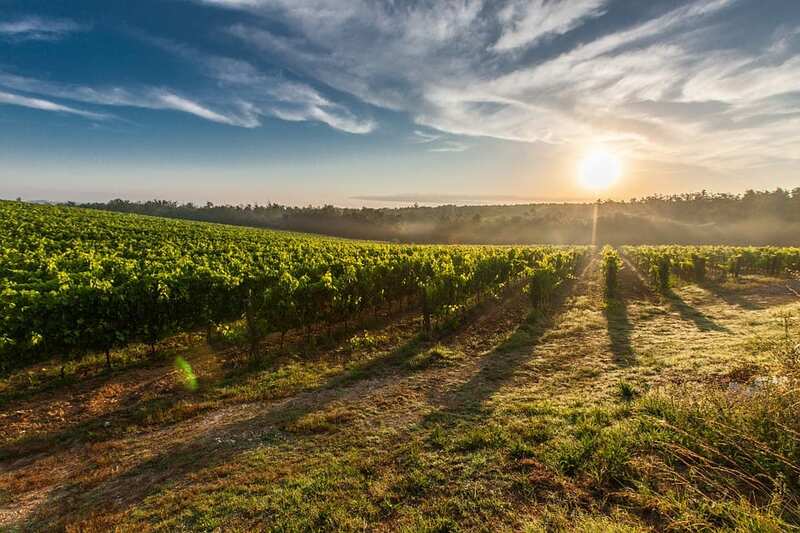 We will then visit a vineyard a short distance away, interact with the winemakers and savour lunch and a wine tasting whilst enjoying spectacular views of the vineyards and olive groves. Return to villa late afternoon. Dinner in Cortona. Independent train travel to Arezzo; (9;30am train departure) train ticket, maps, and transfer to and from our local train station on the day is included in the tour cost. Dinner in Cortona. This morning travel through the Val D’Orcia. Our first stop is Pienza, the birth place of Pope Pius II; a small township famous for Pecorino cheese and beautiful boutiques. After a Caffè at a local bar you will have two hours to explore this gem independently. We regroup and travel to a nearby location for lunch. After lunch we visit Montepulciano, also located in the Val d’Orcia. This township is a true gem, great shopping, wonderful trattorias, cantinas and sulumerie for wine and cheese tastings. Dinner in Cortona. A wellness package, including half hour massage, Turkish bath, Finnish Sauna, salt room, pool area. Enjoy lunch in the restaurant or lovely grounds surrounded by beautiful gardens and pool. Depart villa mid-morning. Dinner in Cortona. Hands-on Cooking Experience. Depart mid-morning for the short drive into the valley to a local farmhouse. The experience will involve hands-on preparation of various dishes including pasta, main course, side dishes, dessert. Meal is then enjoyed together with the Chef, accompanied by local wine, dessert and sweet wine. Dinner in Cortona. This morning we drive through Umbria to Orvieto. On arrival we enjoy a Caffè after which there is ample opportunity to visit Il Duomo, Saint Patricks Well – 1537 which is 62 metres deep with double spiral staircase or tour the underground city/caves. Orvieto has a great selection of stores, ranging from leatherware to ceramics and boutiques. Regroup for lunch at a local trattoria. Return to villa late afternoon. Dinner in Cortona. This morning we visit Lucignano, elliptical in shape, it is known as the ‘pearl of Val di Chiana’. We enjoy a Caffè after which you will free time to visit the local market and the village. We will regroup for a lovely lunch at a trattoria and make our way back to the villa early afternoon. Dinner in Cortona.